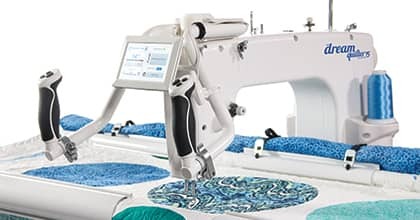 THE Dream Quilter™ 15 was crafted with all of the high-end long-arm features you desire in a truly affordable quilting machine. 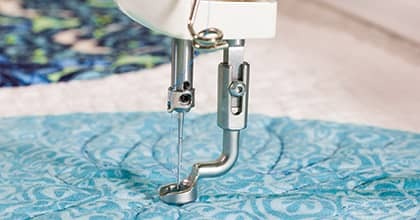 Enjoy the freedom to quilt larger patterns or blocks with THE Dream Quilter™ 15 and it's generous 15" x 8" workspace. 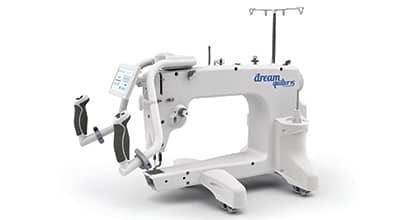 It's a perfect machine to dedicate to THE Dream Fabric Frame for your quilting projects. Warranty Grace Company Limited Warranty: 5-year Limited Warranty - The Grace Company warrants the cast metal body (head) of the Machine to be free of defects or imperfections causing product failure for up to 5 years after initial purchase. This does not extend to the mechanical and or electrical/electronic parts which is covered in a separate warranty. 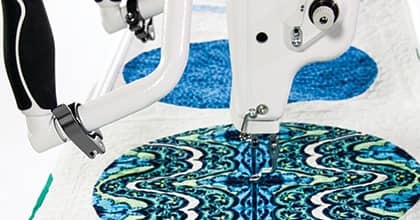 2-year Limited Warranty - The Grace Company warrants all non-moving, non-electric, mechanical parts on the Machine against mechanical failure due to manufacturing defects for up to 2 years after initial purchase. 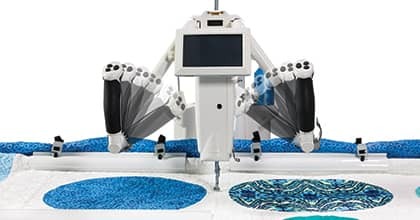 1-year limited warranty - The Grace Company warrants electrical parts against manufacturing defects on the Machine System for up to 1 year after initial purchase.